Gamer Reaction Making Videogames more Awesomer! One of the best moments to come out of the New York Comic Con was our moment with one of the best metal bands in all of geekdom. I’m talking about the band known as Powerglove. They were at NYCC promoting their new album, Saturday Night Apocalypse. I was very excited to meet the band. It all started when I was walking through the Comic Con and heard music playing that sounded very familiar. Luring me in like a Siren song, I found a booth with four men wearing game-related battle armor, the likes of which I had never seen. It was Powerglove. I approached the group and, to my excitement, was greeted with open arms. The writer in me took a back seat as the fan in me went nerdtastic with questions about the band’s origins and inspiration. Formerly known as Revengeance, Chris Marchiel & Alex Berkson (guitars), Nick Avila (bass) and Bassil Silver-Hajo (drums) were a band all about melodic death metal. That is, until Berkson started recording his own video game tracks. After a while, the band enjoyed creating video game covers so much that they shifted in that direction. 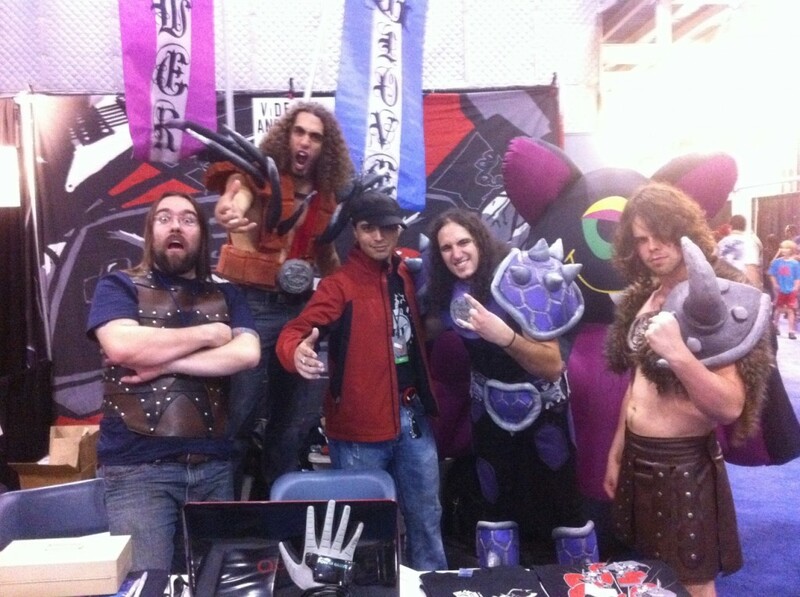 It was former guitarist Ben Durgin that dubbed them “Powerglove”. 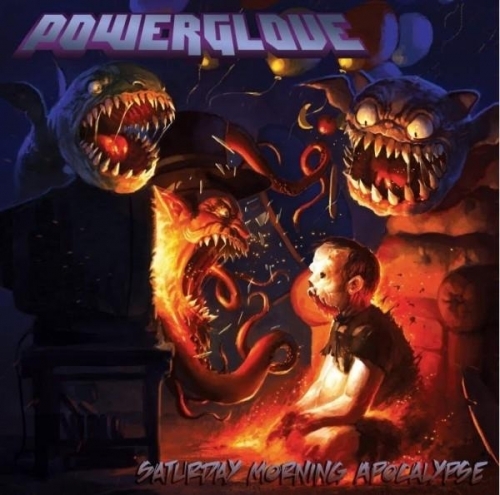 With two successful albums under their belts (Total Pwnage and Metal Kombat for the Mortal Man), they recently released a brand new album entitled Saturday Morning Apocalypse. The theme of this album is cartoon classics we all remember, like the intro to X-men, the theme from the Batman series, the intro to Pokemonand even “This is Halloween” from The Nightmare before Christmas. This album, if you haven’t heard it yet, is a must have. The nostalgia it brings me is something I haven’t had in a while. When I questioned bass player Nick when they will be returning to game-related music, he replied that the album is in works for 2011. Now, if you would like to see Powerglove live, they have a show coming up on October 23 here in New York at the Fontana’s Bar at 8:15. On November 6, they will once again be here in New York at the Gramercy Theater, and on the November 14th they will be in Boston at the Berklee Performance Center. For more information, check out there page here. Now, as a treat to everyone, I was lucky enough to be given a autographed copy of their latest album which we will be giving away here on Gamer Reaction. All you have to do is listen to the Powerglove track below and send us an email with the name of the game that the music comes from. A correct answer will enter you for a chance to win the signed album! Good luck to you all! A major hit at the New York Comic Con, Dead Space 2 is the sequel to one of the only good survival horror games to come out in a long time. Well, now it is near release and Gamer Reaction was at the front lines to get the scoop. Walking into the booth, I was instantly greeted by EA reps so I did what I could to get as much info as possible. 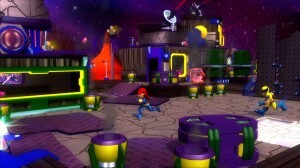 With multiplayer being the newest addition to the game; fans of the series have been worried that it might ruin the single player experience that was so enjoyed in the first. Well, I think it’s time I put some worries to rest. I got to my hands on the game and, from what I was also told, it will play very similarly to the Left 4 Dead competitive multiplayer; 4-players as the humans and 4-players as the aliens, known as the Necromorphs. The Necromorphs play just like the Infected in L4D, as in, they have the ability to see the human players through barriers, climb up and rip through walls, scramble through small vents and plan their strike they best way possible. The rep also told me about an ability that gives the Necro players the ability to hear what the humans are saying in close proximity, so if you scare someone you will hear it in their best girly voice ever. The human players will have an arsenal of weapons but control just like Isaac in the main story, so survival will depend on team work. Two years ago today, on October 14, Dead Space released on the Xbox 360 and PlayStation 3. Set in the year 2508, we played as Isaac Clarke, an engineer who, with his team, answered the distress signal from a starship which his girlfriend also happens to be on. This is where Isaac encounters the alien beings, known as the Necromorphs, and the only way to kill them is to cut off their limbs. Sort of like zombies, the Necromorphs would turn the dead bodies of the crew into more Necromorphs. Some time after the events of Deep Space, Isaac Clarke is called to a all-new space installation known as The Sprawl, where he finds himself confronting a catastrophic new nightmare. Since his experience with the alien threat, Isaac has now equipped himself with a new arsenal of tools to dismember the Necromorphs. Isaac now faces a much bigger challenge than before. Dead Space 2 will be scarier and more epic battles are expected that will keep gamers on the edge of their seats. The contents of the Collector’s Edition were recently announced. 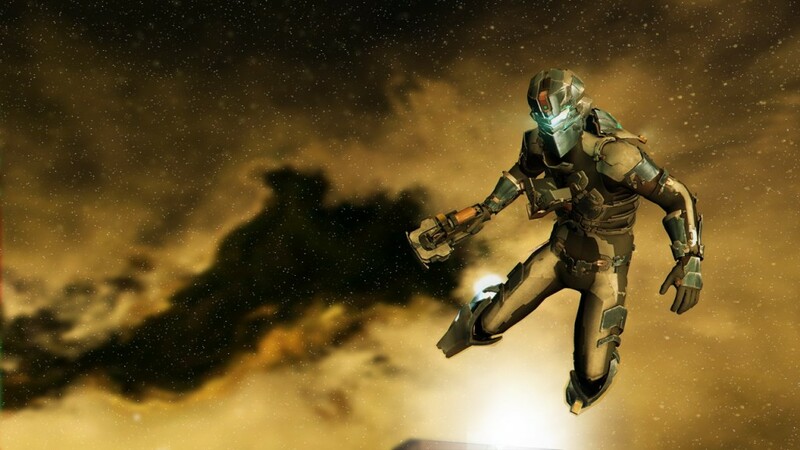 • Downloadable Unitology Suit and Force Gun, providing Isaac with unique benefits when used in Dead Space 2. • Dead Space 2 Original Soundtrack on CD; features an hour of music compiled from the game’s score. • Concept art lithograph depicting Necromorph transformation by Visceral Games artist Brett Marting. • Replica of Isaac’s trusty Plasma Cutter, modeled from the new design from Dead Space 2. • The critically acclaimed Dead Space: Extraction. 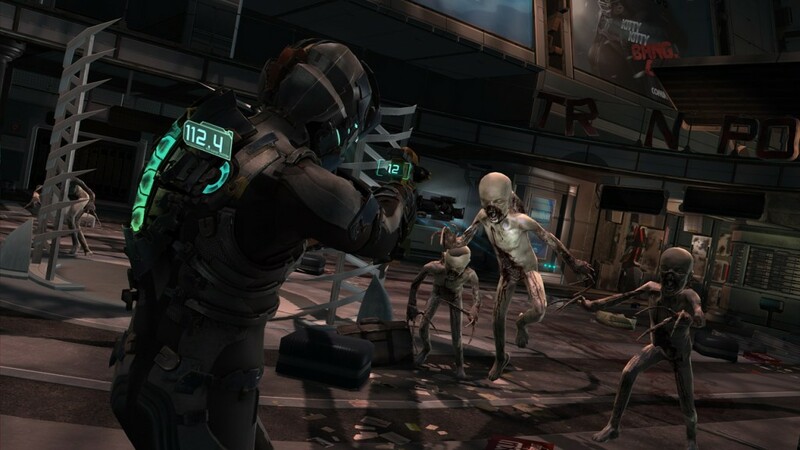 See how it all began in the PlayStation® Move supported prequel to Dead Space, available for the first time in HD. 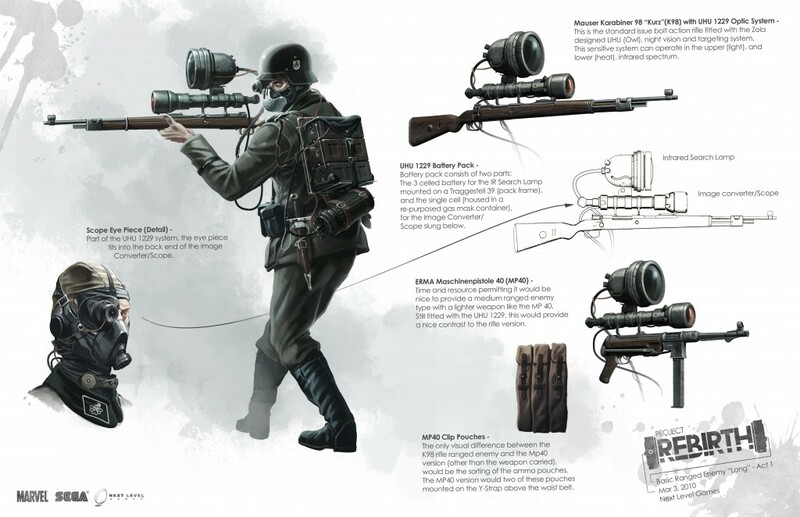 • Downloadable Rivet Gun for use in-game. Now it seems like a tough choice: on the PS3, you can get a full bonus game; on the Xbox and PC you can get a replica weapon from the game. Personally, I can’t get enough toys on my desk at work so I’ll be going for the Plasma Cutter, which will you choose? 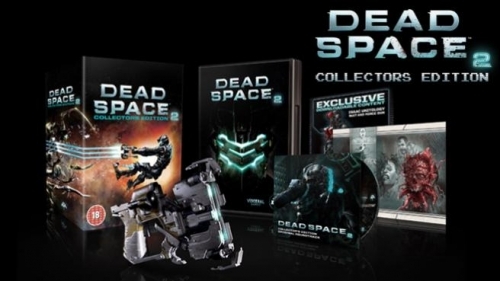 Dead Space 2 will be released on January 25, 2011 for the Xbox 360, PlayStation 3 and PC. With the Captain America movie coming out July 2011, is it a total shocker that a game will be released to follow the movie? No. Is it a total shocker that I was instantly impressed with the gameplay, story and overall appeal of the game? Yes. When I met with Sega reps at the New York Comic Con, I got to talk with them about Captain America: Super Soldier and was given a in-depth walkthrough on the upcoming title. The gameplay in this pre-alpha build felt very familiar. The demo started me off in a room with a few enemies and, just as smoothly as Batman’s free flow combat is in Arkham Asylum, the Captain was flipping over enemies and countering with ease. It was great. While in combat, if the player draws their weapon, the Captain will get a SpiderSense-like indicator letting the player know where they are going to get shot from so they can bring up their shield in that direction. Cap also has the ability to deflect the bullets back to the enemy by swinging his shield at just the right time. Of course, if a few enemies are on screen Capt can throw his shield and, depending on the angle, hit multiple enemies with it. I was told that later in the game you will be able to lock on to multiple targets so that the shield will follow a pattern instead of having to rely on luck. When finished with the enemies, Cap leaves the room and is on an outside platform. From here, the Cap started to jump from poles and wall run in ways that were smooth like in the Prince of Persia series. It had a very good flow and was done with ease. The story takes place during World War 2 when Steve Rogers first became Captain America. 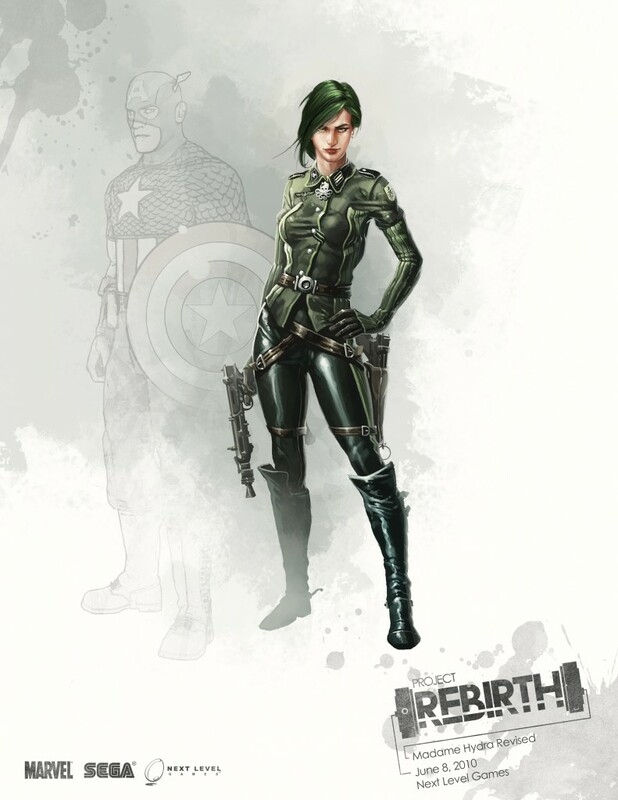 Players will infiltrate Hydra’s castle, face off against Hydra and Iron Crosses forces, stop Madame Hydra and bring down the Red Skull. From what I was told, gamers can expect 7-9 hours of single player gameplay. I asked if there would be any co-op gameplay but reps said that, unless the game does well, we won’t see Bucky team up with the Cap. The story is written by Christos Gage, who is known for his work on Siege: Captain America, Iron Man, X-Men, Spider-Man, Civil War, House of M, and Union Jack. 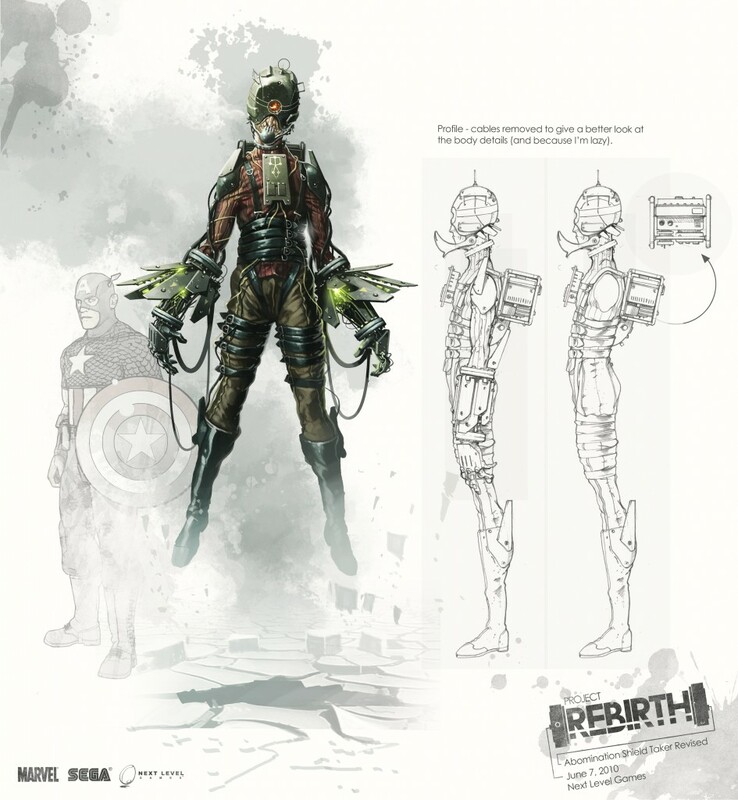 Gage wrote his original story for Captain America: Super Soldier so that the setting exists within the same world as the upcoming movie of the same name. He infused the game with immersive twists designed to enhance gameplay with all-new cinematic action sequences, as well. After everything I have been told, seen and played, Sega has definitely sold me on this game. 2011 is going to be a big year for games and this is no exception. 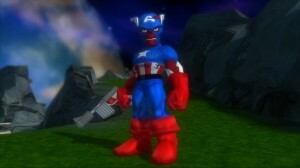 Look for Captain America: Super Solider when is ships in July 2011 for the Xbox 360, PS3, PSP, Wii and the Nintendo DS. 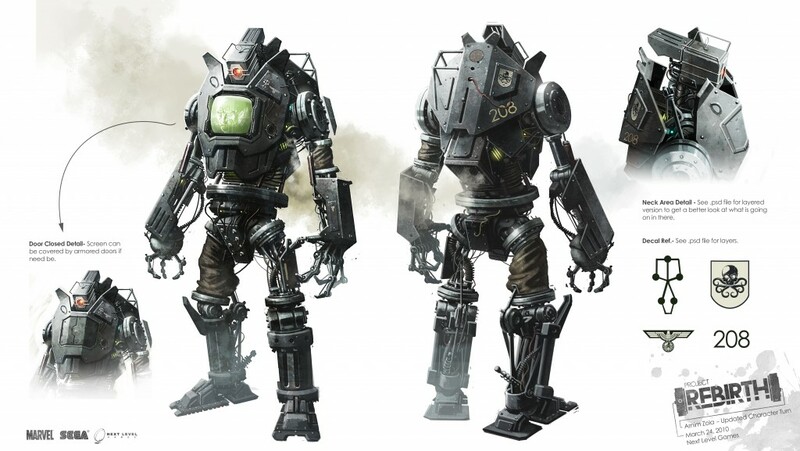 Now enjoy this awesome concept art and trailer for the game. RockStar Games is like lightning that strikes twice in the same place. When they work on a title, they go all out to create an experience gamers love and won’t ever forget; and that applies to their western masterpiece Red Dead Redemption. So what more can be asked for from one of the best games of the year? Well, I can guarantee that no one expected to see a campaign which fills the wild west with zombies. 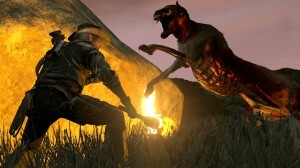 The DLC, which will be released on October 26, will not only bring zombies to the world of Red Dead but add zombified animals as well. The story for Undead Nightmare follows our hero, John Marston, as he travels across the land doing what he can to survive the zombies that plague it, while trying to find a cure. Cities, settlements and outposts are all under attack and nowhere is safe. Players will need to go from town to town and search cemeteries to eliminate the zombie bosses. When I finally got my hands on the game, I was tasked with burning a certain amount of coffins in a graveyard to get the boss to appear but with each burned coffin more and more special zombies appeared. At first I thought it was going to be a piece of cake, with slow moving zombies. Then I started to get swarmed by the normal and special infected that would appear changing their pace from slow to incredibly fast, this had my heart beating hard. 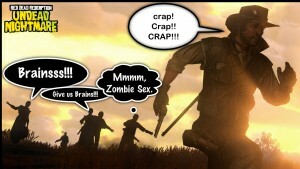 Some zombies rammed into me and knock me off my feet and some even ran on all fours, avoiding gun shots. Thankfully, the special up-close instant kill still worked. One special infected I encountered even spat acid. I asked a couple of gamers testing out the game what they thought and while one said they couldn’t get enough of it, one player who didn’t even own the game definitely wants to get it now. I joked with one of the presenters about how the new Left 4 Dead gameplay is awesome and he replied “wait until you see the multiplayer Horde mode”. The multiplayer Horde Mode will be laid out like the Gang Hideouts are set up. Players must go to areas within the game world and fight off waves of zombies with friends and strangers as them appear. In this mode, the 4 different special zombies will appear as well as the zombie animals. The New York Comic Con has ended but, as always, it left a lasting impression and one of my first stops at the Con was Marvel & THQ’s upcoming title Marvel SuperHero Squad: The Infinity Gauntlet. I honestly didn’t know what to expect when I first picked up the Xbox controller, but once I did I enjoyed every second of it. The gameplay is very similar to that of Lego Batman (a personal favorite) but with the full voice talent of the SuperHero Squad TV series. 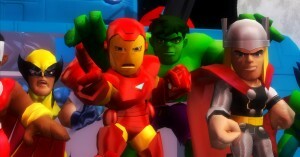 When I started the game, I played as the Hulk and the producer who walked me through it played as IronMan. Right when I started the game, we were hit with a puzzle where Hulk had to break through a barricade and Ironman had to fly across a gap to lower a bridge so the Hulk could cross. Fighting off enemies as we went along was fun but this is definitely a game that takes some getting used to. Just because MSHS is a title for all ages doesn’t mean it is something you can just breeze through. I will admit, shamefully, that I got KO’ed a whole lot. The “block” button is your friend, so you had better use it. When we made it to the Super Skrull boss battle, I got KO’ed a few times. What I find great is that the game also takes some Castle Crashers/Scott Pilgrim mechanics and the player is able to revive their allies if they get knocked out in battle. We also got to play one of the flying levels where the Hulk (riding a rocket) and IronMan were dodging meteors, and that itself was another fun experience. Featuring jump in and out gameplay, players can easily press “start” to jump into a friend’s game and leave whenever they like. SuperHero Squad offers a 2 player co-op story mode and a 4 player challenge mode. The small downside to the game is that it is single couch gameplay, meaning there is no online mode. It makes perfect sense though; does anyone believe children should be playing with random adults online? Not just that, but Scott Pilgrim and the Lego series have done pretty well with offline gameplay and I still believe that playing with friends in the same room is best. The whole time I played I was laughing it up with the producer of the game. It must have been his 100th time seeing the same thing over again, but the charm this game brings to the table is something that people of all ages will enjoy. While at THQ’s booth, I noticed a father was explaining to his daughter the Infinity Gauntlet story while she played and I noticed fans of the series that weren’t under 13 actually enjoying the game. While playing the game I felt like it was those good old days playing a beat ’em up on my SNES and Genesis, and really wanted to play beyond the demo. It’s going to be hard to ignore this game on release. As for the story, the game will follow the Infinity Gauntlet story arc, which is also the main focus of the second season of the SuperHero Squad on the Cartoon Network. For those of you who are too young to know, the Infinity Gauntlet is a Marvel story that came out in 1991. It was also the main story in the 1995 arcade fighting game Marvel Super Heroes and the 1996 SNES title Marvel Super Heroes: War of the Gems. Each of the 13 player characters have their own unique abilities and attributes. Here is the trailer for the game, to whet your appetite. Marvel SuperHero Squad: The Infinity Gauntlet Will be released in November on the Xbox 360, PlayStation 3, PSP and the Nintendo DS. 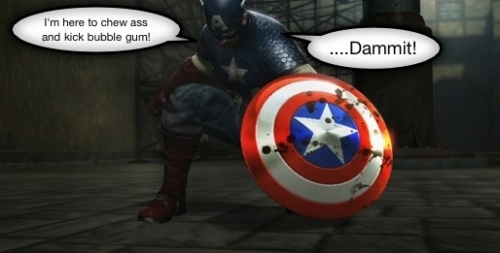 Captain America, Bucky and Red Skull will be PS3 and 360 Exclusives. One of the most anticipated games to come out this year is almost here and it’s not a $60 title, it’s The cult classic Scott Pilgrim vs the World: The Video Game and it is about to rock the PlayStation Network and Xbox Live Arcade later this month and Gamer Reaction has the exclusive Xbox Live gameplay footage of the first level and the Boss Battle against Evil Ex #1 Matthew Patel. Scott Pilgrim vs The Game is a 4 player Beat ’em Up based on the Graphic Novel Scott Pilgrim. The graphic novels by Creator Bryan Lee O’Malley are very heavy on classic gaming references so it’s only right that a game based on the story would be set to look like a classic 8-bit and 16-bit games, at the end of the levels Scott teleports out like Megaman while Stephen Stills uses Mario’s Warp Pipe to exit and Kim Pine Rides off on Kirby’s Warp Star. The gameplay is very much like Streets of Rage and Castle Crashers and very enjoyable with friends. Boss battle’s are very much like oldschool Ninja Turtles where they start to flash yellow when they are near death. 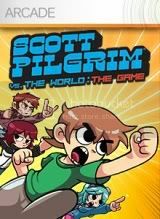 The one feature people have complained about is the lack of online play which is understandable but lets remember that Scott Pilgrim wants to be like a classic game when people weren’t antisocial and would actually get together and play games together. Gamer Reaction’s Dianna and my most loyal ally Spyderz got together this past sunday to play the game for the first time and it was the most fun I have had playing a game in a long time and I have played a lot of games. Playing in the same room with your friends definitely made gameplay better. I get that some of you may not have the luxury of playing with your friend but there is also a big challenging singleplayer game here that deserves a look at. From the start of the game it was like a blast from the past and We all agreed it was a excellent experience and something we can’t wait to do again. Megaman 9 & 10 may have been the pioneers of the return of classic gameplay and the oldschool look but Scott Pilgrim takes all that and shows what oldschool games could have really been like. While oldschool gamers will feel at home with the style and gameplay, New School gamers will love the corkyness and pace of the action. It’s something for everyone. When we got together on sunday it took use 30 minutes to get through level one and yes as you can see in the heavy edited video we died a few times. The gameplay maybe easy to learn but it is something to be mastered. I don’t even remember blocking much during our first play-through and there are counter attacks and the ability to catch items thrown at the player. I know that all that would have to be mastered if I want to get the Invulnerable and One Man Army Achievements. There is so much in this game yet to have been explored like a Super coop attacks that can only be unleashed when all players taunt at the same time, take hidden short cuts through bonus stages and enter stores to buy items during levels, unlock additional characters and even unlock a Zombie Survival Mode. What would a Xbox 360 game be without achievements, these are all the achievements and can be earned in Scott Pilgrim. New Challenger: Defeat Matthew Patel without losing a life. 10G. Twin Dragons: Defeat the Twins simultaneously. 10G. Dirty Trick: Defeat an enemy by throwing an object at him while he’s already down. 10G. Invulnerable: Play through a World and reach the boss without getting hit. 10G. Get the Girl: Clear the game once with Scott. 10G. The Power Of Friendship: In a multiplayer game, reanimate another player at least 25 times. 20G. Gourmet: Eat Every food items. 20G. Vigilante: Defeat 1000 enemies. 20G. One Man Army: Clear the game in single player on the “Supreme Master” difficulty setting. 20G. Shopaholic: Buy all the items of a shop during the same visit. 20G. Armed and Dangerous: Defeat at least 200 enemies using interactive objects. 20G. “Chaudown”: Unlock and call all strikers. 30G. 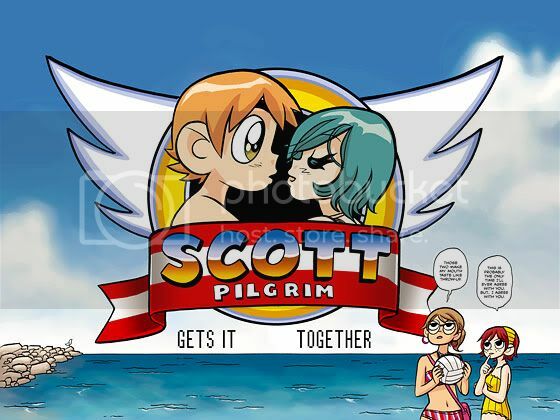 Now Scott Pilgrim vs. the Animation is a series of short 5 minute animations that will air on Adult Swim on August 12, 2010. It will be released online on the Adult Swim website and Facebook the next day. These animations are voiced by Michael Cera and Alison Pill who play the roles of Scott Pilgrim and Kim Pine in the film. The Anime Shorts will explain Scott’s backstory with Kim. Personally I say this will be one of my favorite games of all time. 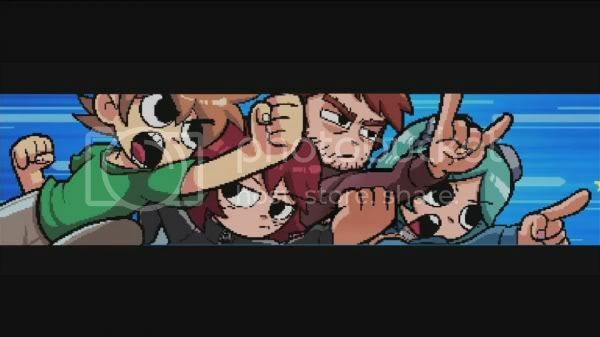 Bringing friends together is something classic games always did and Scott Pilgrim will do it again. Scott Pilgrim vs The World: The Video Game will be released on the Playstation Network on August 10 and on Xbox Live Arcade on August 25.